WASHINGTON — At least seven U.S. troops were wounded Saturday when an Afghan soldier allegedly fired on them inside a military compound in northern Afghanistan, the second apparent insider attack in a week. The incident occurred around 2 p.m. local time, during a training exercise at Camp Shaheen in Mazar-e Sharif. The attacker, a commando assigned to the Afghan army's 209th corps, allegedly fired three rocket-propelled grenades at the Americans before continuing the attack with two M4 carbines, an Afghan defense officials told Military Times. The assailant was later shot dead by an American armed with a pistol, the Afghan official said. There are no American fatalities, according to a statement from the NATO command headquartered in Kabul. The wounded were evacuated and the incident is under investigation, officials said. Saturday’s attack marks at least the second violent incident so far this month involving American personnel embedded with Afghan security forces. It comes exactly one week after an Afghan soldier allegedly opened fire on U.S. troops, killing three and wounding one. For the month of June, U.S. officials have reported at least three other Americans wounded in action in Afghanistan. Year to date, that number has now reached nearly 50. It is significant, too, that the attacker at Camp Shaheen was a member of the Afghan army's elite commando force. The U.S. strategy in Afghanistan focuses heavily on further developing these units, with plans well underway to double their size in coming years. U.S. troops remain at risk elsewhere in the country. In mid-March, three U.S soldiers were shot and wounded in another apparent insider attackat an Afghan military complex in Helmand province, where a Task Force of 300 U.S. Marines is embedded with the Afghan security forces today. Saturday's attack comes amid talk in Washington of sending another 4,000 American troops to step up counter-terror operations and help break what senior military leaders have declared a stalemate in the 16-year war with the Taliban. NATO countries contributing to the war effort are likely to make individual announcements soon on adjusting their troop levels. Among European countries, those numbers are expected to be under 1,000. President Donald Trump has delegated authority on troop numbers in the war-torn region to Defense Secretary Jim Mattis. A spokeswoman for Mattis, Dana White, indicated earlier this week that his decision is pending further consultation with other U.S. agencies, the Afghan government and NATO, she said. Mattis told House and Senate lawmakers this week that, by mid-July, he plans to provide the White House with a comprehensive strategy for Afghanistan. That plan may include sending U.S. military advisers even closer to the action, and possibly embedding tactical air controllers within front-line Afghan units to help them push back the Taliban. "We are not winning in Afghanistan," Mattis told senators on Tuesday. Long-term, officials say, the objective is to set the conditions that will enable the U.S. to maintain a counter-terrorism presence in the region and prevent the sort of lawlessness that could destabilize Afghanistan's neighbors. Both Pakistan and India possess nuclear weapons. There's mounting concern, too, about the increasingly overt efforts by Russia and Iran to influence regional affairs. Presently, approximately 8,500 U.S. troops are deployed to Afghanistan as part of two separate operations. The larger of the two, known as Resolute Support, is focused on advising and assisting Afghan security forces with the goal of enabling them to independently protect the country's populace from a resilient Taliban. The other is a counter-terrorism mission called Freedom's Sentinel. 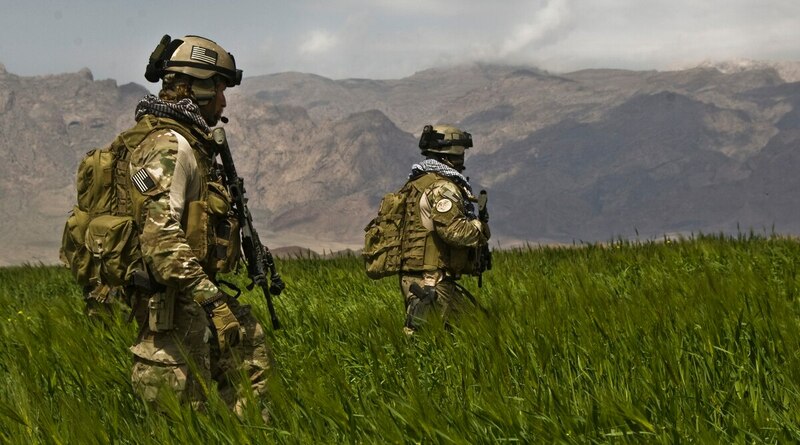 It comprises mostly elite special operations troops and remains focused on targeting an Islamic State offshoots and the many al-Qaida affiliates entrenched along Afghanistan's border with Pakistan. Shawn Snow is a Military Times staff writer and editor of the Early Bird Brief. On Twitter:@SnowSox184. Andrew deGrandpre is Military Times' senior editor and Pentagon bureau chief. On Twitter: @adegrandpre.